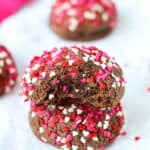 These double chocolate cookies are an easy Valentine’s Day dessert! Can be made round or shaped like hearts if you like. Having the teeniest, tiniest kitchen means being acutely aware if/when you develop a kitchen-related hoarding problem. B rang the alarm on my sprinkle problem the third time he opened a cabinet and a sprinkle canister flew past his head on its way to the floor. I see his point. But when you’re minding your own business at the supermarket and walk past the cute little heart sprinkles you somehow lost in your last move…you just have to make exceptions. Just to put it out there, I didn’t intend for my sprinkle problem to blossom quite this crazy. A few weeks ago I was in a rush one morning before work and speedily ordered my Amazon shopping cart. Color me surprised when the box came and two HUGE containers of sprinkles were tucked inside. Ooops! Totally forgot they were in my cart. If my sprinkle issue was only a touch out of hand before, this pushed me over the edge for sure. With the “big day” coming up, I knew I could make room in my stash for these mini heart sprinkles. 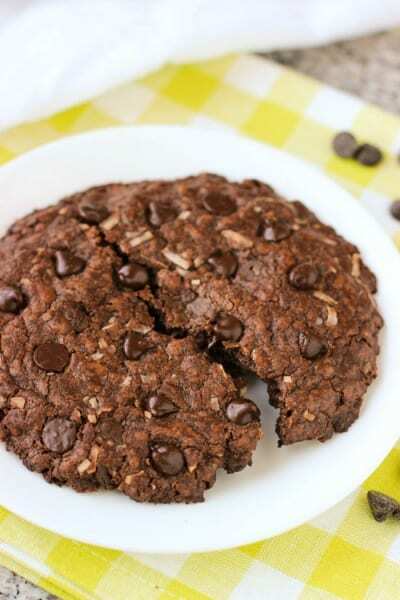 And how better to use them than by piling them on double chocolate cookies? 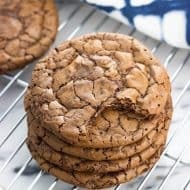 When it comes to chocolate cookies, I have a hard time veering away from my tried and true base recipe. It’s rich, adaptable, and seriously easy. 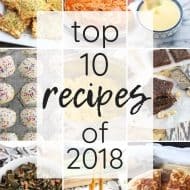 You don’t even need to grease your baking sheets! 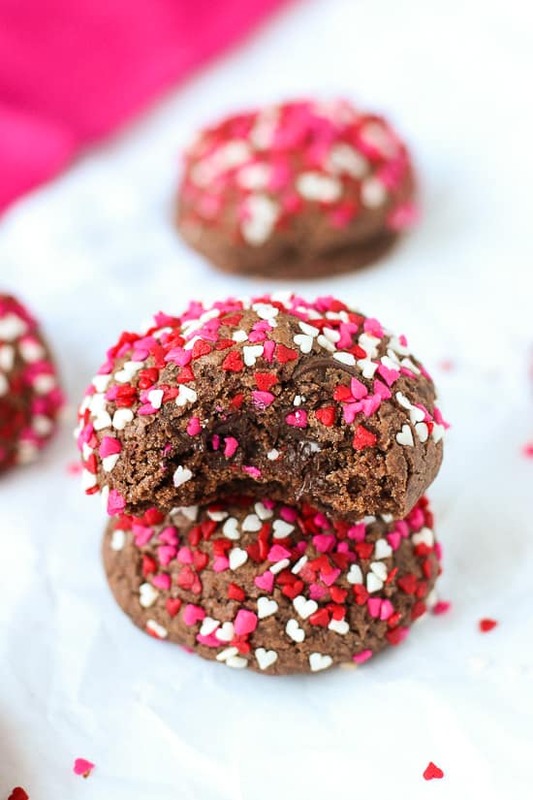 To jazz these double chocolate cookies up even more for Valentine’s Day I shaped a few cookies themselves as hearts, sans cookie cutter. Once the cookies are scooped and on the baking sheet, I flattened them slightly and then pressed a toothpick into one side to create the indent at the top of the heart. Then I rounded the tops and formed a “V” shape at the bottom. Ta-da! Extra special festiveness in a few extra steps. 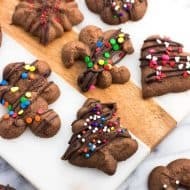 This recipe makes a little more than two dozen smallish cookies, so you have plenty to share without stuffing yourself silly with all the leftovers Feb. 15th and beyond. Except, of course, if you make a double batch…whiiiich is what I happened to do. Preheat oven to 325°F. 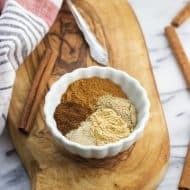 In a mixing bowl or in the bowl of a stand mixer, beat butter, sugars, egg, and vanilla extract on medium-high speed until light and fluffy. Scoop approx. 1 1/2 tablespoonfuls of dough and roll into a circle. 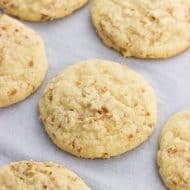 Roll cookies in sprinkles and place on ungreased non-stick baking sheets. 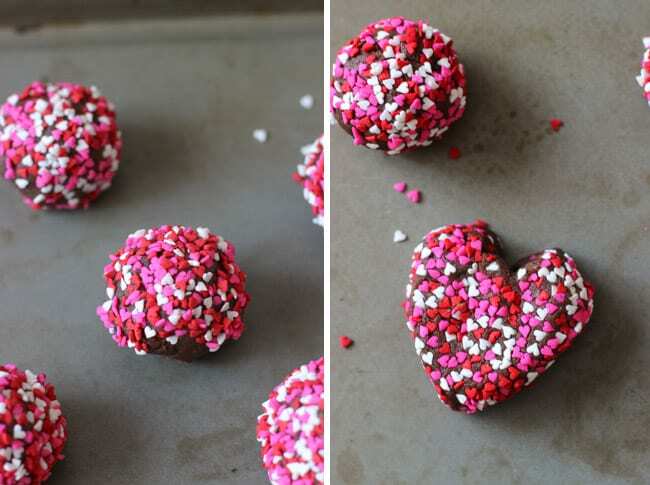 If you'd like heart shaped-cookies, press tops of cookies to flatten slightly and with a toothpick, create an indent in the middle of the top to form the middle of top of the heart. With your fingers, shape bottom of cookie into a "V" shape. Cookies will expand a bit as they bake so you may wish to overexaggerate the heart shape so cookies will be clearly shaped once they are done baking. 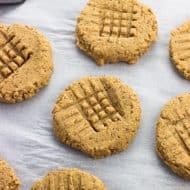 If you like these cookies, I have a sneaky feeling you’d enjoy these, too! 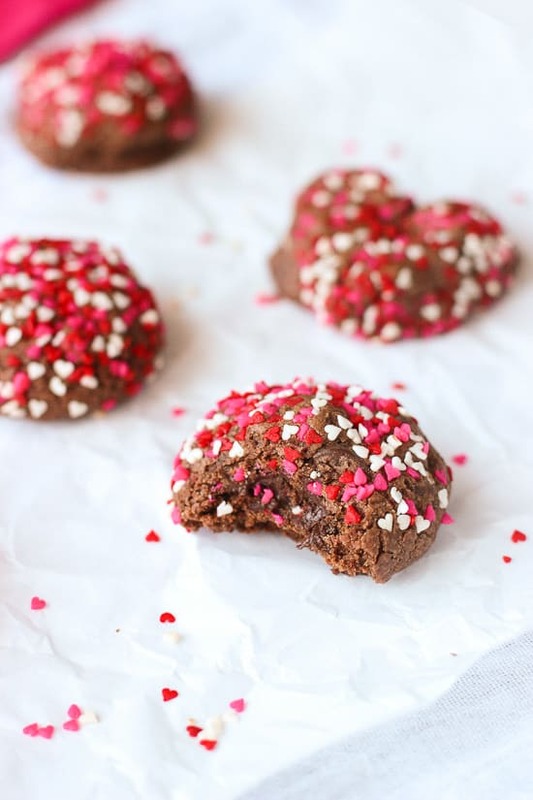 I just love how gooey these cookies look in the middle, Alyssa … not to mention the cute heart-shapes and sprinkles. P.S. I hear you on the small kitchen. Ours isn’t too bad, but we have no cupboard space. Sprinkles often fly past my head too when I open the cupboard doors! Thanks Helen! Glad to hear I’m not alone on kitchen storage troubles. Don’t even get me started on counter space…haha! Haha! I have some duplicates, too. 🙂 I figure they pretty much have an indefinite shelf life, right? They’ll get used eventually…or at least that’s the justification I tell myself as I fill up the cabinets! Thanks! I’m going to have to agree with you on this one…how can you NOT buy those heart sprinkles?? 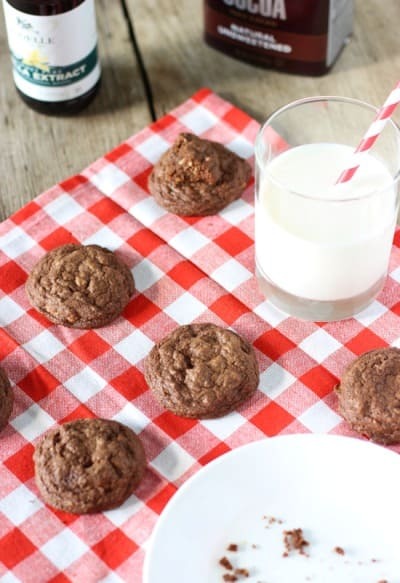 They are so incredibly cute and look perfect on top of these chocolate cookies! Oh my gahhh!! These are so tiny and darling! I have to make them! I never ever bought sprinkles because I figured they were gf but not completely sure, BUT I found some that are labeled gf so I bought like five kinds. So obviously I am going to make these! Thanks Annie! I would definitely be stocking up on gf sprinkles too – they’re just too fun! haha and the sprinkle hoarding … I had that problem and then was forced to clean them all out by the husband. Ah well! Oh boy! Perfection. These cookies have it all. Sorry to be the enabler. I couldn’t resist these sprinkles myself.